This post as well as many to follow are going to be a little of art history along with some world history to give the reader an idea of what was going on in the world at the time a famous painting was done. The idea of these posts comes from talking to my students about art, and learning many of them really don’t know what was going on in history around the world at the time paintings were done. I think knowing these things makes for a deeper understanding of the paintings. I think the best painting to start with might as well be the most famous. No, it isn’t one of mine. It is, of course, the Mona Lisa. 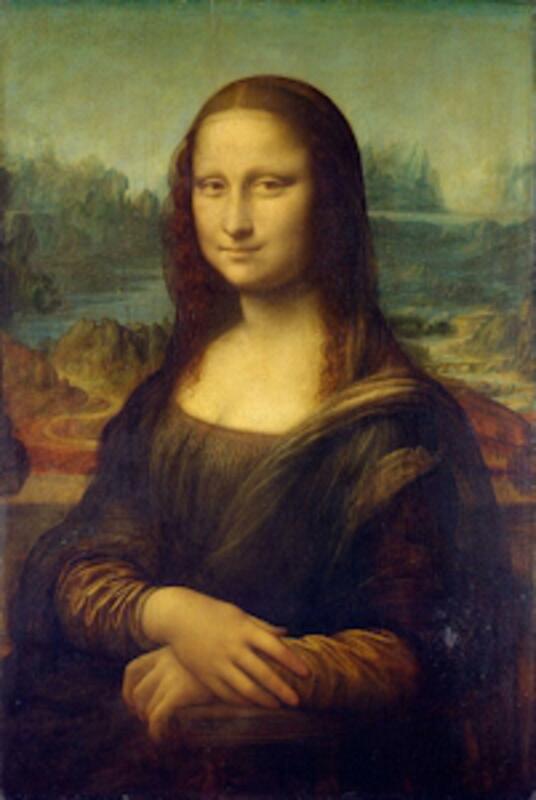 Leonardo da Vinci painted the Mona Lisa, in 1503 to maybe 1506. (There are always some arguments about these dates as well as some of the other facts but I’ll do my best to go with the majority views.) It is a half-length portrait of a lady named, Lisa del Giocondo and was commissioned by her husband. The name, Mona Lisa, is from the Italian name for what was originally “ma donna” or my lady but was shortened to Mona in time, and most often in Italian as Monna Lisa. 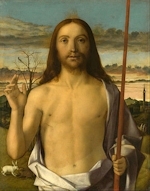 It is painted on a wooden (poplar) panel and is about 30 X 21 inches in size. I won’t go into a lot about the painting. That can be found almost anywhere on the Internet. The purpose of this blog is to place it in world history. 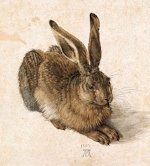 So what was going on in 1503 or the early part of the 16th century? First it was painted in Florence, Italy even though it has lived most of its life in France, in modern history at the Louvre. 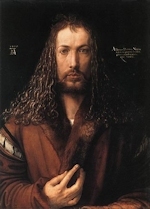 This period in Western history is known as the Renaissance which went from the 14th to the 17th centuries. Some think it really started in Italy, Florence in particular, where the Medici family ruled, and promoted all forms of art and science. It was a period of humanism. Scholars studied text from the Greeks, Turks, as well as other from antiquity, and around the known world. Linear perspective, the system for artists to accurately portray nature was invented by Filippo Brunelleschi (1377 –1446) in Florence. 1501- Michelangelo returns to his native Florence to begin work on the statue David. 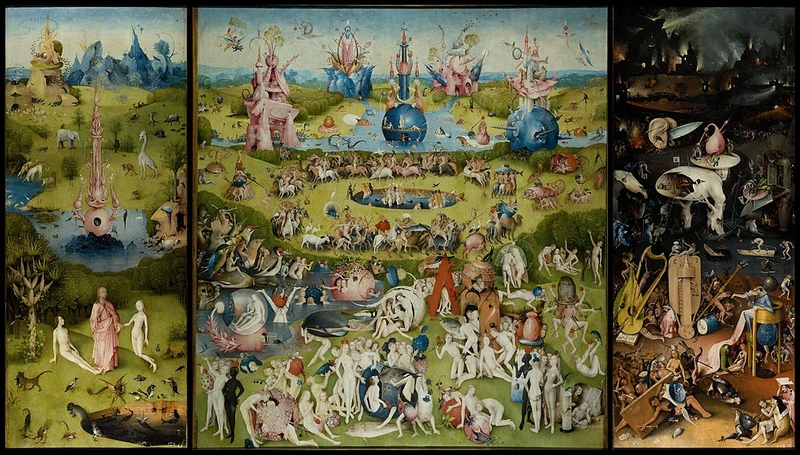 Hieronymus Bosch, "Garden of Earthly Delights"
The early 1500’s was mostly church music in the form of masses and motets. The invention of the printing press allowed composers to have their work printed and put out to a much larger public. Printing also meant that from this period forward we have documentation of a much larger variety of works. With this came the advancement of many musical forms. Secular music was in many forms for folk singing and dancing in all cultures. It isn’t until a little later that we will see some of the familiar names of composers. 1368-1644 The Ming dynasty is in power in China. 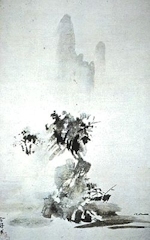 This causes a resurgence of Chinese art in both porcelain and brush painting. 1492- Columbus reached land in the Caribbean Sea. 1498- Portuguese traders arrive in India. 1502- It is believed the first African slaves were sent to the New World. 1509- Henry VIII become King of England. 1517- Martin Luther wrote his 95 theses and the protestant reformation begins. 1519- Charles V become Holy Roman Emperor and rules most of Europe. 1440- Movable type, invented by Gutenberg allows for all forms of printing. 1512- Copernicus writes Commentariolus, and proclaims the sun the center of the solar system.